There's a classic, old urban diner that you’re probably familiar with. It’s situated on an empty street corner and its two walls of windows expose the scene within: a few patrons sit around a warmly lit bar. 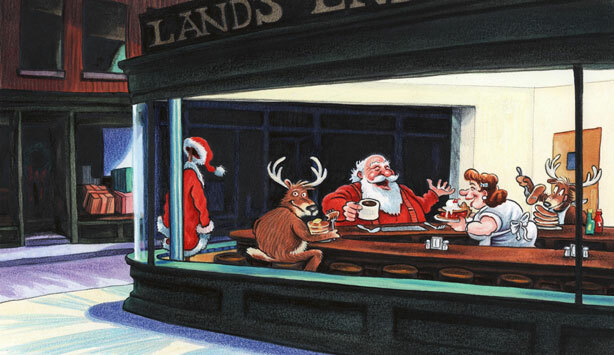 It's been depicted with James Dean inside, with Santa, with Stewie from Family Guy, with Darth Vader. And it's been sung about, and written about. Your college roommate may have put it on her wall. 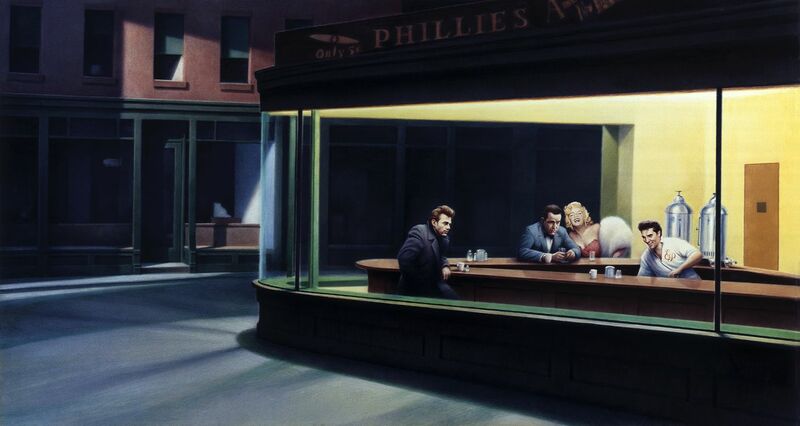 But before this diner was seared in our minds, it existed only in the head of one person. An artist, a middle-aged guy. Painting in lower Manhattan, under a giant skylight, right after the bombing of Pearl Harbor. 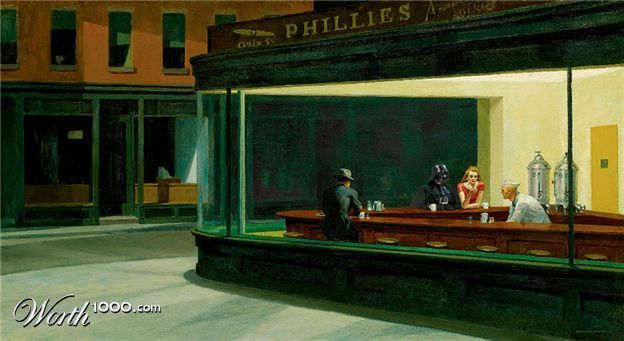 See more wildly clever variations on Edward Hopper's masterpiece here. American Icons is made possible by a grant from the National Endowment for the Humanities.